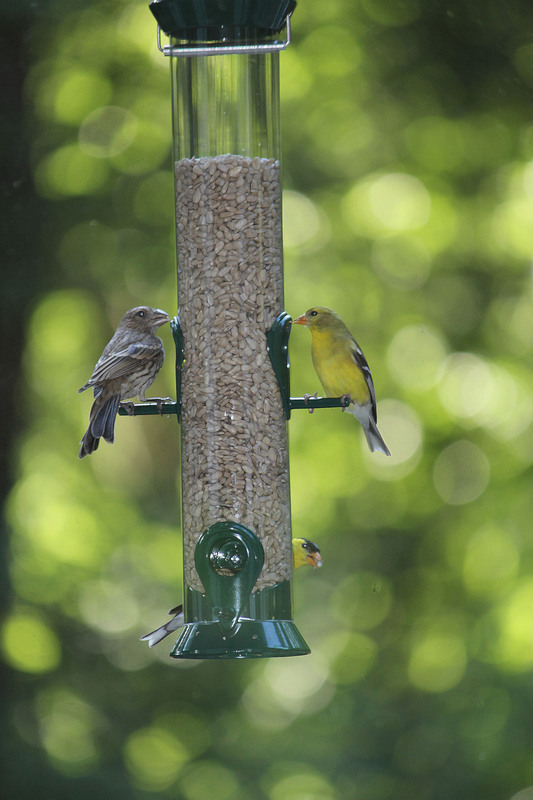 This summer I was given a couple of b ird feeders. They hang outside the sun room. It is a very busy place with lots of feathered comings and goings. Abundant and varied, my bird friends are large and small, brightly colored or drab, loud and argumentative, sweet sounding or cackling. The woodpeckers do not want to socialize and go about their work intensely and methodically; the little yellow chickadees are very chatty with each other, languishing on the perches of the feeder. The bluebirds and the house wrens grab and go, they have no desire to mix with the others. The presence of all these birds invariably invites the interest of the resident hawk. 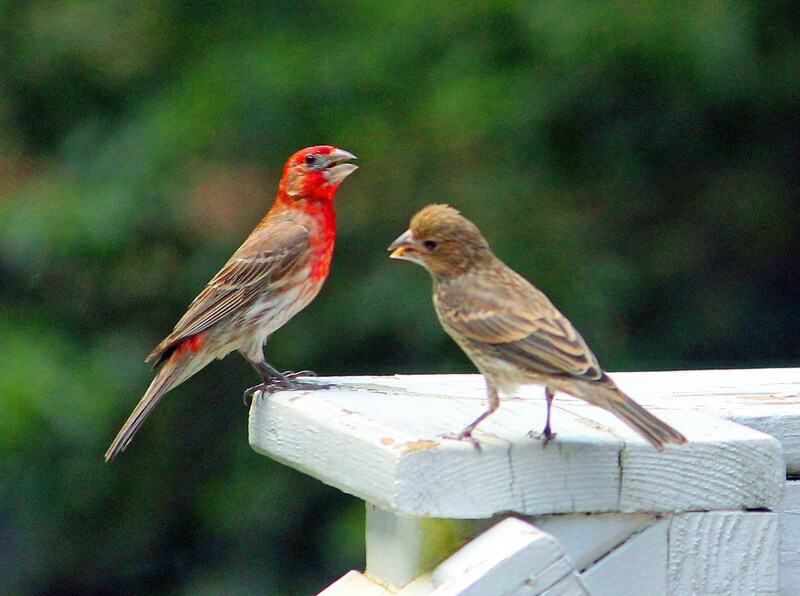 It is something to watch them all interact, as they jostle for position, chase off and mouth off, and in the hawk’s case, sit there on the deck banister silent and stoic, glaring at all of them. Sometimes there is harmony but often they fight for the best feeding position. 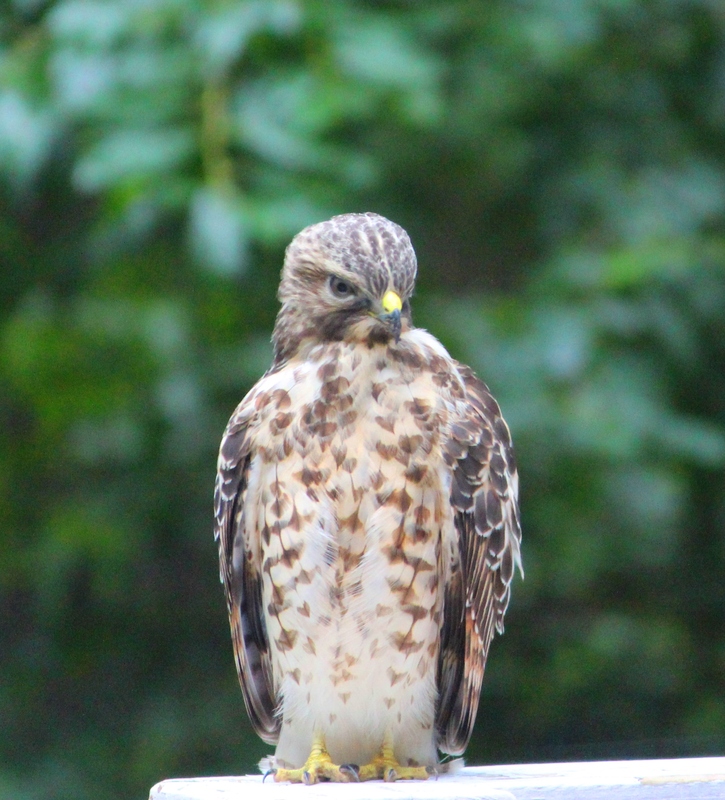 Some are pleasant, some are not…some, like the hawk, can be downright threatening. Even so, this suburban zoo is still a community, drawn to the same source of sustenance…and though different in appearance and attitudes, they all know where to come to be fed. Wandering on crooked paths: It occurred to me as I watched them this morning, is it not similar to the “Church”? N o, I don’t mean a building or a place, I mean a community; followers of Jesus Christ – and like hungry birds, human hearts and souls are hungry too and need to be “fed” spiritually. We all have our differences, in appearance and attitude as well. One of us might be brightly dressed, young and outspoken. One of us may be the older, wiser and more methodical type. One of us might be standoffish, brooding and watchful. One might dress up for Sunday service, another might saunter in wearing jeans and t-shirt. Though these differences are minor, the problem arises when there are arguments within the body of Christ in regard to denominational differences. These arguments are as old as Christianity itself. Jesus rebuked the Pharisees about the legalistic and hypocritical burdens of the laws they required of the Jewish community. (Matthew 23). Indeed, the Apostle Paul wrote to rebuke the Galatians (2:11-21) (5:1-6) as well as they held that without circumcision there could be no salvation of a person’s soul. We must be cognizant of the fact that Jesus’ sacrifice was final. If we need to “work” our way into heaven, then surely His brutal death and ultimate resurrection is not enough. These differences fracture God’s community and with so many Christian denominations, it is certainly fertile ground for dissent and a perfect place for Satan to prowl like a lion, looking for someone to devour (1Peter 5:8). Jesus told His apostles to go out and make fishers of men. He did not tell them, or us, to go out and make [denominations] of men. I have attended a bible study for many years. Women from more than 200 churches and dozens of Christian denominations are represented there. A primary tenant of this group is that differences in denominations are not discussed. All are seeking to feed on God’s word and grow their faith. However, within the broader community, I have personally witnessed, and been subject to, “an us and them mentality”, especially within the body of Christ…and this is not acceptable. Let me be clear here, I am not saying there are different paths to God. As Jesus said, “I am the way the truth and the life, no one comes to the Father except through me”. What I am saying is that there are many denominational differences on how and when we should worship – but let us not major in the minors and allow these differences to cause schism in the Christian community. We must keep in mind the similarities we have – What is the Object of our worship? There is and should be only one answer to that… It is God the Father, God the Son and God the Holy Spirit. Since the source of all knowledge and authority ultimately is God and the Word He gives us, we must measure all our deeds and words through the filter of scripture, not Man’s opinion. Our God is a very big God, and we must trust Him to judge the hearts and actions of men, that is not our job. If we are indeed to be ambassadors for the kingdom of God, we are tasked to reflect His love to others. If one outside of the faith community can look in and see the true character of Jesus reflected in those who follow Him, there is reason to believe that they will be drawn to Him. The opposite is true as well. If, like my bird community, that same person were to look at the community of Christians and see the bickering, jostling and positioning that is so often found in the Church, then why, oh why would anyone be drawn to that? We must be cognitive of the very short time we have on this earth to do God’s Kingdom work. We really are here not to please ourselves. We are here for God’s purpose and will. For each of us, that looks different. We should be extremely cognizant that we all have a role to play for the greater good of others. So whether we are Catholic, Protestant, Non-Denominational or various forms thereof, let us remember that we are to be the hands and feet of Jesus and make disciples of nations…and trust God to work out the rest. After all, if our own hearts and souls are not being fed in His love, how can we ever “feed” others? Yes! Love the analogy of your friends at your bird feeder and our church gatherings — paints such a true picture. Great insights! Thanks for sharing your thoughts in this blog.